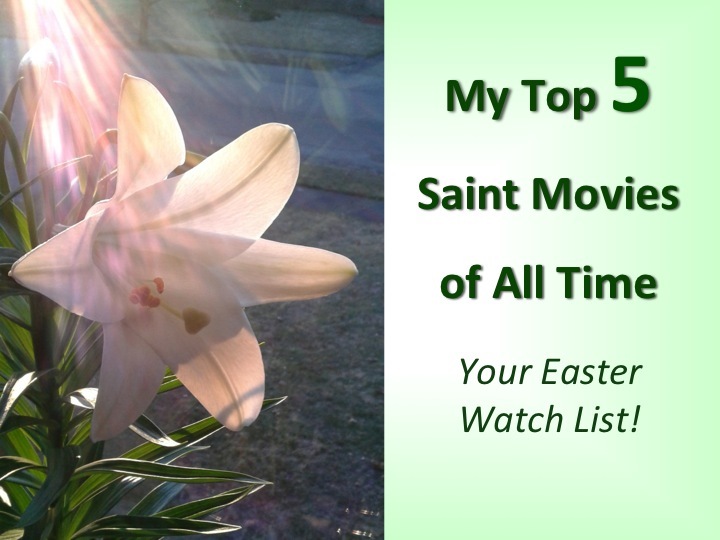 Top 5 Saint Movies of All Time–Your Easter Watch List! This Easter, I wanted to take a closer look at feature films on the lives of the saints, which I do on this week’s Easter Salt + Light Radio Hour. As a subgenre of the biopic, often made with great intentions but not-as-great artistry, saint feature films are fascinating to study—mostly because the saints themselves are such fascinating people. But even Catholic film critics and film buffs are not always fond of saints movies, calling them overly sentimental (one film reviewer called them “goopy”! ), or preachy. Either way, movies about the saints are commonly heavy-handed, often lacking in artistry and production values. For the past decade or so, the secular industry has developed a growing interest in making religious films, due to the success of The Passion of the Christ. Choices range from the recent spate of epic biblical films (Noah, Exodus, etc.) to the new twelve-part miniseries, A.D. The Bible Continues, which begins its broadcast Easter Sunday night at 9 PM on NBC, to evangelical low-budget films (Heaven Is For Real, Moms’ Night Out, Do You Believe), to the made-for-Italian-TV saint movies produced by RAI and Luxvide. Now Warner Brothers is getting into the picture, announcing the development of a new film on Saint Paul starring Hugh Jackman. A sense of their virtue and holiness, and their motivation—what makes them tick, make their choices. Some element of mystery should remain, but since each of us is called to “echo” God in this world in our own unique way, it’s helpful to see how each saint is unique, but also their holiness has common threads. Artistry—which includes respect for film, cinematic and genre conventions, great acting, great writing, and authenticity in the sense of historical accuracy. In other words, I’m looking for a film that sweeps me up into the saint-protagonist’s character, story, and world, so that I truly experience their life—or a part of their life. In today’s Salt + Light Radio Hour, Deacon Pedro Guevara-Mann specifically points to #3 as his main criteria: he wants a saint movie to be a great movie, with a compelling protagonist who has a great character arc, a powerful storyline that is well-written and well-produced. Only one film on my top five list truly fulfills all three criteria for me. But some worthy efforts have been made over the years that still give us some saint films worth watching, films that portray inspiring lives of the saints that can move us. For Greater Glory (2012) A chronicle of the Cristeros War (1926-1929) when the people of Mexico rebelled against the atheistic Mexican government’s persecution of the Catholic Church. 5. Tie: RAI/LuxVide’s: St. John Bosco, St. Rita, John XXIII, and St. Philip Neri. Because I haven’t seen all of the RAI/Luxvide films of the saints, I decided to give this spot to the four most popular. Each made-for-TV film is inspiring. They also do a good job of being accurate in their interpretation of the saint’s life, e.g., St. John Bosco uses some of his own words. The production quality varies between each production, and in my experience, the films lack in artistry (probably due to their relatively low budget). They are occasionally–or often–a bit overly pious, preachy, and sentimental. Each film depends a great deal on the actor chosen as the saint—the main actor or actress has to carry the film with an amazing performance. Many of the films are quite long, which gives the producers the opportunity to provide an in-depth look at saint’s life. I tend to prefer watching the original Italian language version, with English subtitles. Each of these DVDs is available at Pauline Books & Media. It’s hard to be impartial about this movie, as it transformed my love for watching film into a desire to write films. 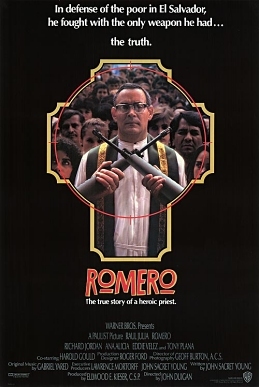 One of the reasons I was so inspired by this film and consider it one of my favorite movies is because of its unique focus on Romero’s transformation from a prayerful scholar to a fearless shepherd who stands up for his flock. Ultimately, he lays down his life for the people of El Salvador. Raul Julia’s brilliant performance as Romero makes this film a joy to watch repeatedly. Thematically, Romero is a wonderful exploration of responding to God’s grace, the charism of what it means to be a shepherd, and seeing the faith incarnated in the life of the Church in El Salvador—as well as in the archbishop who leads the Church. Archbishop Oscar Romero will be beatified on May 23, 2015—I highly recommend this film for teens and older. An unconventional European expressionist film, Seventh Chamber of Edith Stein is an indie film with superb acting by Maia Morgenstern (the same actress who plays Jesus’ Mother in The Passion of the Christ), and exceptional directing by Marta Meszaros. Starting with Edith’s baptism, this film takes us through Edith’s spiritual journey—through the “interior castle” of her soul to the “seventh room,” which Teresa of Avila explains is the innermost room where one is espoused to God. The expressionism of this film—unfamiliar to many Americans—means it may not necessarily be entertaining to watch, but rather an experience to undergo. Seventh Chamber includes some abstract, dreamlike sequences that express the emotion of Edith’s journey. These, along with difficult shots (such as a tree blocking our view of Edith as she goes in to visit her mother), invite the viewer into Edith’s experience of facing obstacles and suffering. As a Jewish convert to Catholicism who then enters the Carmelites, Edith faced rejection from her family, from her academic community, and the persecution of the Nazis. When finally sent to the concentration camp of Auschwitz, she offers her life for the salvation of her people. A hugely rewarding film to watch and talk about, Seventh Chamber is riveting and extremely rich in word and image, allowing us to enter into the depth and height of Edith’s experiences. A great exploration of the film can be found online here. 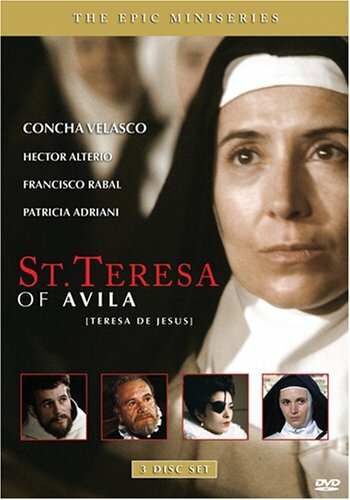 Brilliant mini-series about the life of the famous reforming Carmelite, St. Teresa of Avila, portrayed by Concha Velasca. If you are interested in Carmelite spirituality, St. Teresa of Avila, or female saints, this is a must-see. The mini-series is long enough to give a sense of the times in which she lived, the interior journey that she made, a profound look at her spirituality and her rapport with her sisters. This is a compelling portrait of one of the few female Doctors of the Church, a practical woman who was also one of the greatest mystics of all time. While I have not seen this miniseries in over a decade, certain scenes still haunt me. This is the one film that, for me, satisfies all the requirements to be a great saint movie. Directed by Fred Zinneman and written by Robert Bolt, Man for All Seasons won 6 Oscars and stands the test of time, even though it takes time to immerse us in the world of sixteenth century England. The witty dialogue of the film is occasionally taken directly from St. Thomas More’s own words—as quoted in his son-in-law’s biography and historical accounts of St. Thomas More’s trial. Superb performance by Paul Scofield, who reveals the humanity of a great intellectual and loving father, but also allows the radiance of his relationship with Christ to shine through. Every time I see this film, I find myself fascinated and drawn to this remarkable and holy man, inspired to live with the same integrity and fidelity to Christ. 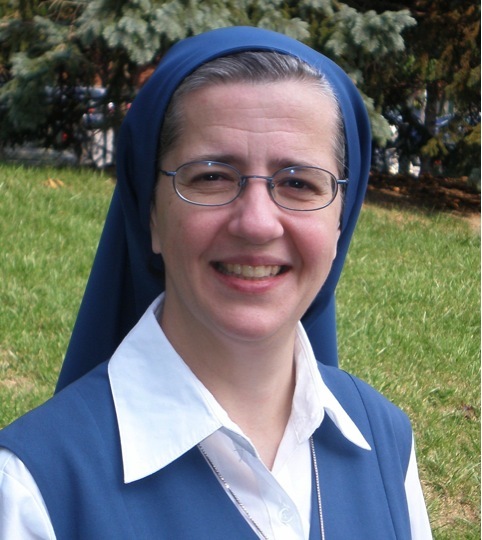 You can listen here to this week’s Salt + Light Radio Hour where Deacon Pedro and I discuss the Top 5 Saints Movie list, as well as touch upon the Year of Consecrated Life, and what it’s like to live Holy Week in the convent for the first time. 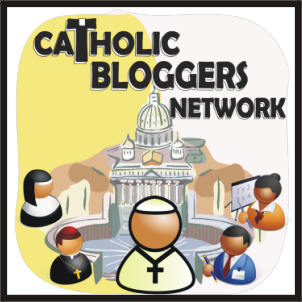 This entry was posted in Catholic Media Artist, Creativity, Faith and Culture, Film Commentaries, Pauline Books & Media, Spiritual Life and tagged Easter Movies, great Saint movies, saint movie reviews, saint movies, Vatican Film List. Bookmark the permalink.